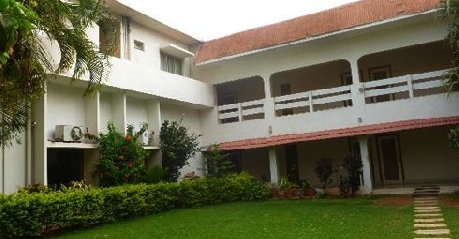 Located in the heart of Badami, Hotel Badami Court is situated on Station Road with close proximity to the Badami Railway Station. 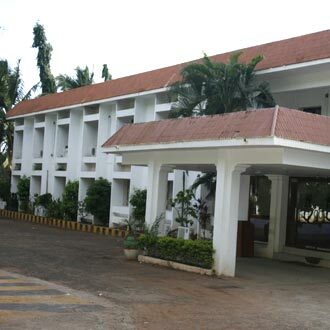 Famous for its cordial reception of guests, Badami Court ply their guests with best in-class service and facilities. 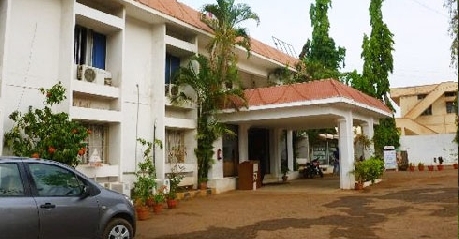 Being a 3-star property, Hotel Badami renders facility like doctor on call and travel desk providing 24 hours assistance for trips and tourist attractions of Badami. 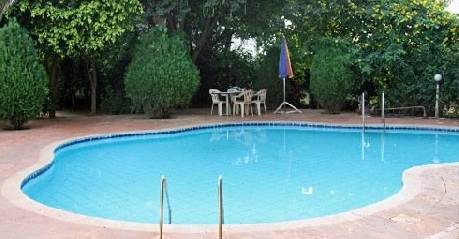 A swimming pool is beautifully placed in the hotel for refreshing the guests after a tiresome traveling day. Other basic facilities of the hotel include safe deposit box on front desk, currency exchange, complimentary newspapers in the lobby and multilingual staff. 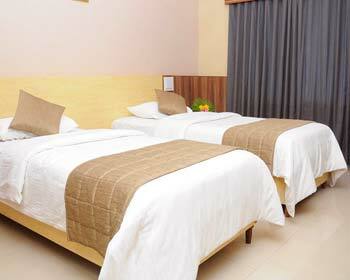 Provided with cubby double bed, AC Double Room is build to meet up the occupancy need of a large and spacious for guests. Air-conditioning system is equipped to chill down the room temperature and a cable TV is provided to get rid of the boredom of the customers. To avail any service, direct telephone service is fitted in every room. 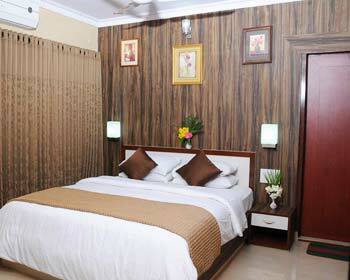 Internet access, laundry service and inclusion of complimentary breakfast are in the standard amenities of the room. Twin single bedding arrangement of AC Single Rooms has ample of floor space available for placing heavy luggage bag of guests. As mentioned in the name of room category, Single room is completely air-conditioned, direct dial telephone service and Internet access facility is offered in each Single rooms. 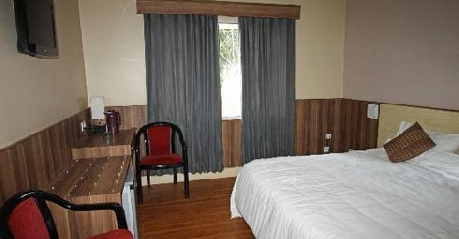 Gratuitous breakfast is offered in standard amenities and laundry service is provided by the hotel. 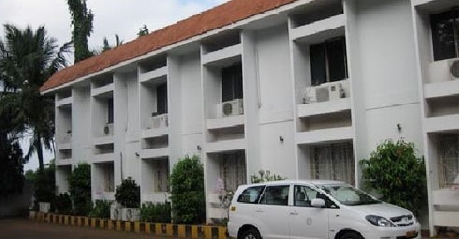 There are 28 rooms at Hotel Badami Court in Badami. They are of the standard category. All these rooms have tasteful interior decoration.They are adorned with numbers of facilities like attached bathrooms, showers, bath tubs, mini bars, furniture, satellite TVs, telephones with STD/ISD and room service etc. Hotel Badami Court has its in-house dining restaurant arranged in Pulakeshi Dining Room of the Hotel. Guests can enjoy the dishes of this multi-cuisine restaurant from 6 AM to late night. Specialties of the restaurant include delicacies from South Indian, Continental and Italian cuisines.